Time flies. Our records show that many guests still have outstanding gift certificates on file with us. 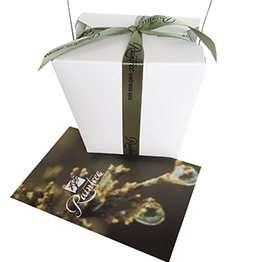 Christmas is coming and Raintree gift certificates expire one year from issue date. Don’t miss the opportunity to enjoy a well-deserved spa treatment. As per BC Gift Card Legislation, gift certificates purchased for a specific treatment can expire. Please note that if you have misplaced your gift certificate, we will have a record of it on file at Raintree.